Acquire the power of nature. All of Makes Scents essential oils are 100% pure and made with aromatic natural compounds carefully extracted from plant sources. They are obtained from the blossoms, leaves, bark and roots of flowers, herbs, fruits and spices. Unadulterated, Makes Scents Natural Spa Line’s essential oils have undergone no dilution of their active qualities. They contain only the natural essences of plants, acquired by steam distillation or cold-expression from a single botanical source. Unlike some other essential oils on the market, they contain NO fillers or artificial ingredients, and no chemical solvents are used during the distillation process. Certified cruelty-free by the Coalition for Consumer Information on Cosmetics (CCIC)’s Leaping Bunny program. The essential oil blends emulate our spa product lines’ formulations, including: Awaken, Balance, Calm, Clarify, Detox, Invigorate and Restore. Essential oils used in the new line include lavender, clove, peppermint, rosemary, cajeput, sage, lemongrass, cedarwood, ginger, lemon and lime. Wholesale professional spa partners, contact us about adding Makes Scents Natural Spa Line products to your treatment menu and retail shelves! 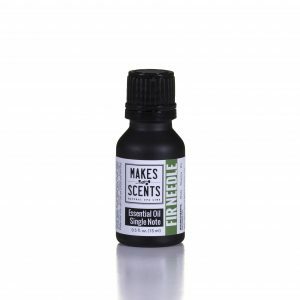 Professional Essential Oil Line listed at bottom of page. Spas can create the perfect experience in any season by customizing our Unscented Organic Shea Butter Sugar Scrub and Unscented Aloe Vera Hydrating Body Wrap with one of fifteen different scent blends made with pure essential oils. 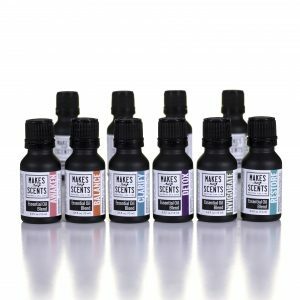 The blends (which emulate those in Makes Scents Natural Spa Line’s signature lines) include: Balance, Chai to Resist, Citrus Grove, Clarify, Invigorate, Sea Sanctuary, Lavender, Eucalyptus, Fir Needle, Peppermint, Cranberry Chutney, Pumpkin Spice, Dulce de Leche, Strawberry Fields, and Tropical Isle Coconut. 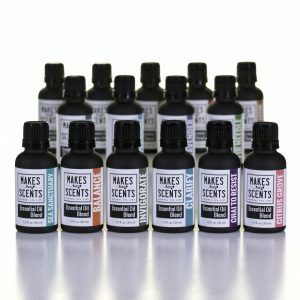 Wholesale professional spa partners, contact us about adding Makes Scents Natural Spa Line products to your treatment menu and retail shelves!